In Texas, structural engineering is viewed by most practicing professional engineers as a field of Civil Engineering. this is principally due to the extensive overlap and similarity of the both civil and structural engineering technical practices. Nonetheless, structural engineering is often considered a stand alone profession in its own right. Structural engineers commonly design buildings and large non-building structures. And they also design machinery, medical equipment, vehicles, or any item where structural integrity affects the item’s function or safety. Structural engineers must ensure their designs are safe, serviceable, and perform as intended. Structural engineering theory is based upon universal physical laws and empirical knowledge of the structural performance of different materials and geometries. A structural engineering design often combines several simple structural elements to create complex structural systems. Structural engineers are licensed or accredited by different regulatory bodies around the world. 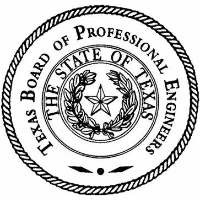 In Texas, the Texas Board of Professional Engineers governs the practice of professional engineering. The board considers all engineers to be professional engineers, regardless of whether they are Civil, Structural, Mechanical, or some other type of engineer. In Texas, a licensed engineer may practice in the area for which they are qualified by education , training, and experience. Optionally, a Texas professional engineer may elect to formally register up to two specialty practice areas with the board. However, this registration of up to two specialties is not mandatory and does not prevent an engineer from practicing in the multiple specialty areas for which they are qualified. What is a Structural Engineer? What is a Structural Engineer? What is a Structural Engineer? What is a Structural Engineer?